Whisky Consultant. Licensed Whisky Ambassador. I first chatted to Uday via email, pre dating his tour to Ireland to research whiskey there – I am half Irish after all and do love my Irish drams. Once he returned home to India, he contacted me again re a Scottish tour. I mentioned that we were hosting a whisky tour to coincide with a whisky festival here. 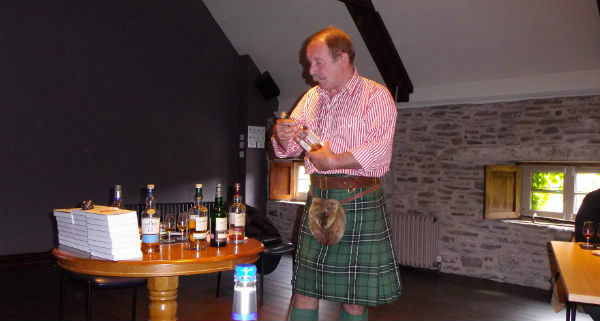 This started a friendship soaked in whisky, I did say I would chat with him about his whisky life – so here it is folks! Q; UDAY. Whisky has taken you to many a bar, distillery, and country, tell me about just one of your travels. Hello Paul, it’s great to catch up once again. My latest whisky journey was to Japan. A lot of people, myself included, have a picture of a country where communication would be tough and traveling around, particularly in remote areas would be a challenge. To my pleasant surprise, this wasn’t entirely the case. There’s a fair amount of English around and where there isn’t people are more than happy to help! On the whisky front, the Japanese distilleries were interesting to visit. Chichibu was my personal favourite, especially since our guide was one of the distillers. The bigger distilleries have very basic tours, but the tastings are sensational. Some of the whiskies I tasted were the Yamazaki 25, Hakushi 25, Hibiki 30 apart from interesting whiskies like the components (Mizunara, Bourbon and Sherry) that go into making the Yamazaki 12. The whisky bars in Japan are absolutely second to none. Their selection of Scotch, Bourbon and Japanese whiskies were sensational. This topped with spectacular cuisine, great tradition and natural beauty made it a fantastic experience. Q; WHAT IS a certified trainer for The Whisky Ambassador certification in India? Please tell me about this. Established in 2012, The Whisky Ambassador Programme is the first BIIAB accredited Scotch Whisky training course. It is based in Glasgow and has trained staff in prestigious establishments across Scotland as well as 19 countries across 4 continents. I recently became their trainer in India. The idea is to improve knowledge of Scotch Whisky here in India especially given that consumption is at its highest in history here. Q; and what is a Certified Executive Bourbon Steward? The Stave & Thief Society was founded in 2014, and is the first bourbon certification program recognized by the bourbon industry and the only to be recognized by the Kentucky Distillers Association as its “Official Bourbon Education Course.” It has two levels – Bourbon Steward and Executive Bourbon Steward. I am the latter and I hope to train enthusiasts and professionals here in India to become Bourbon Stewards. It is essentially a training that gives on an in depth understanding about the different types of Bourbons available, the science behind distillation, the art of making flights and so on. Q; WHAT does whisky mean to you these days? Wow, this is something that is constantly evolving, to be honest. If you had asked me this a few years ago, I would have said it was just a drink that I really enjoyed. These days it has pretty much become an integral part of my life. I feel like I experiment more with tastes and smells wherever I am, so I can appreciate my whisky more. Whisky, like wine has a great link with history that I find very fascinating. More than anything else, I really enjoy educating people about whisky and help them find the whiskies that they truly love. Q; WHAT did you do before life in the whisky industry? I’ve done quite a few things in my professional career. I started off as an engineer and worked in the IT industry for a few years in India and the US. I then moved to Barcelona, Spain to pursue my masters. I then did a bit of consulting before joining the Taj Group of Hotels for about a year. After this I was the CEO of a hospitality company, where I started and operated a variety of restaurants apart from a couple of boutique resorts. One of the restaurants was voted by Conde Nast among Indias Top 50 Restaurants as well. However, whisky and travel have always been my passion and that led me to starting The Whisky Advisor. Q; YOU are now in the process of working in the whisky industry in India, what is it you offer? Whilst I did some whisky related work at the restaurants and have done some informal tastings, I’m relatively new to the industry. I have invested a considerable amount of time and money to educate myself about whisky by traveling across the world. Now, I intend to dedicate myself to spreading this knowledge among my countrymen and beyond. While India consumes as much whisky as the rest of the world, I feel the knowledge about whisky is lagging behind a lot of countries. I’m hoping to play a part to both improve awareness as well as help people spend their whisky money wisely. Q; HAVE YOU kept a record of every distillery you have visited? Yes, I have! To date I’ve visited 75 distilleries across 5 countries and 3 continents. The journey has just begun! Q; DO YOU see differences in production and maturation around the world? The most obvious differences would be between the bourbon and malt whisky worlds, with respect to grain, distillation and maturation. Scotland, Japan and India are similar in style. That said, maturation in India is much faster leading to a very different type of spirit. Major Japanese distilleries make their grain and malt in house, since they don’t trade across companies. One interesting example is Kirin Fuji Gotemba that makes 3 types of grain whiskies, one of them pretty much being a bourbon with rye as the flavouring grain. The Irish again stand out with their use of unmalted barley for their Single Pot Still whiskies and tradition of triple distillation. Wood is an increasingly exciting area these days. Apart from my whisky travels I visited the Duoro valley where port wine is made as well as bodegas and cooperages in Jerez where the sherry casks that mature whisky come from. Beyond these traditional casks, there are so many casks previously used to mature various wines, sake, tequila, tabasco and so on being used these days. Possibly the most unique casks I came across however, were chestnut casks, rather than oak being used by Irish Distillers and Eigashima White Oak, Japan. Q: I must say, both Liz and myself really enjoyed our time with you, do you have any plans to return to Scotland yourself? The feeling is mutual, Paul. I certainly do plan to visit again soon. Although my focus right now is back in India and to grow the business here, I will definitely be back and bring my wife this time to explore Scotland! 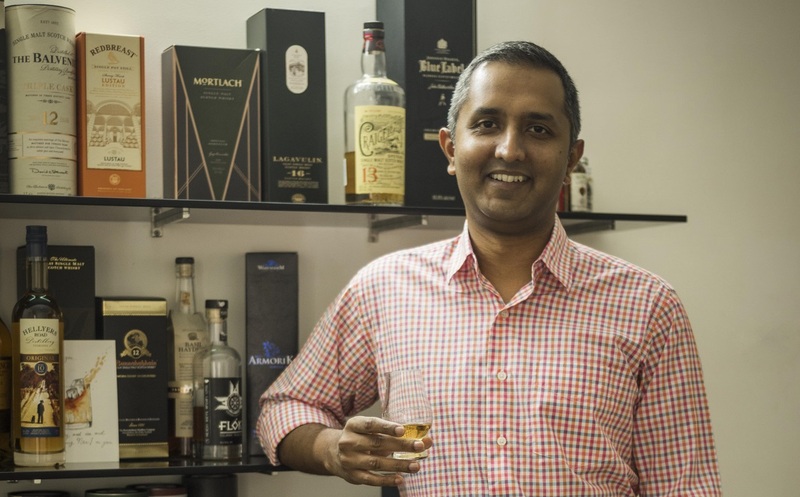 I could have gone on and on here, but have kept it to this, Uday is a really nice guy, he is totally whisky competent and enthusiastic to say the least, we see a long working whisky relationship blossoming. www.thewhiskyadvisor.com is where you can meet up with Uday.